The Evil Queen is intensifying her kingdom to comic books. Yes, that is right – COMIC BOOKS! The “Once Upon a Time” evildoer will be featured in the upcoming original graphic novel influenced by the ABC hit fairy tale drama series. This edition will explore the relationship that the Evil Queen and the Huntsman had. 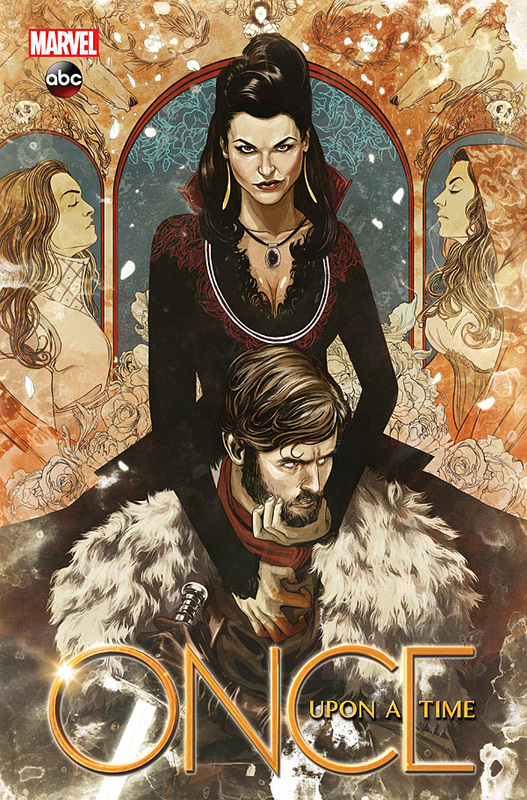 “Once Upon a Time: Shadow of the Queen” will be coming on Sept. 4, which is created by Marvel. It is a direct tie into the television show. A Marvel editor, Emily Shaw, said that they were interested in exploring a new narrative territory that the show has not fully touched on. With that, they chose the Huntsman. Fans adored the compelling character, but his background was still mysterious. Dan Thomsen, a co-producer on the television show, helped co-write the comic with Corinna Bechko. The art creative came from Nimit Malavia, Vasilis Lolos, Mike Del Mundo and Mike Henderson. The Shadow of the Queen starts to set the scene in Fairy Tale Land. It follows the events of Season 1’s episode The Heart is a Lonely Hunter. The Evil Queen took the Huntsman prisoner after he let Snow White go instead of killing her. He was supposed to kill her, take her heart, and return the heart to the Queen. We learn that the Evil Queen is continuously on her rage to obliterate Snow White. In the comic, we will see important events that include the Huntsman’s history. The events that will continue to define his relationship with the Evil Queen. This leaves us knowing that Regina and the Huntsman are the stars of the story. However, the writers have teased us with a little by telling us other familiar faces will appear in the storyline. Emily Shaw said their goal with the cover art is be instantaneously noticeable to the fans. They want to stay true to the flavor and personality of the cast, however, they want to still allow the artist some freedom to express themselves.